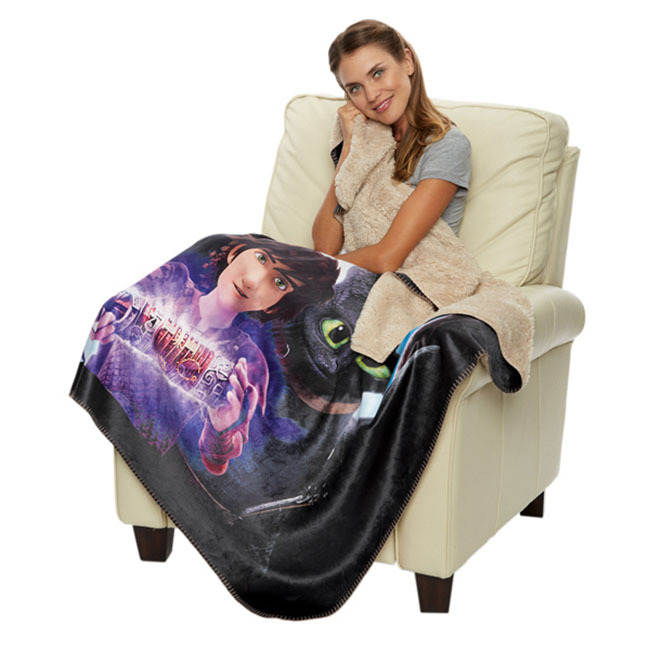 Get a stunning soft personalized blanket that combines quality and high profile imprinting with the Sherpa Lined Sublimated Throw. The top side features silken faux micro mink and the inside is a lusciously soft faux sheepskin Sherpa layer. The entire blanket can be sublimated edge-to-edge to immortalize an event or brand. The whipstitch border gives the blanket a rustic flair. It's made using 100% microfiber polyester fabric. Add your brand in vibrant sublimated imprinting to complete the promotional look.